Defending champions Kandy Sports Club scored 19 tries at the Nittawela grounds yesterday to beat CH & FC by a cricket score of 121 points (19 tries, 13 conversions) to 3 (1 penalty) in a one-sided Clifford Cup quarterfinal match. This could be the highest score in a Clifford Cup game. At half time Kandy led 57-0. It is the third time this season Kandy has over run CH & FC the first two occasions being in the league where they piled up a half a century of points on each occasion. The visitors tried their best to put up a strong fight but failed to do so with the home team handling the ball well. Whatever said done Kandy turned the screw in the 80 minute game and began to rack up the points as CH & FC faded into oblivion. CH & FC at one time dominated the game, but they didn’t have the strength of past teams to give a good fight to Kandy. 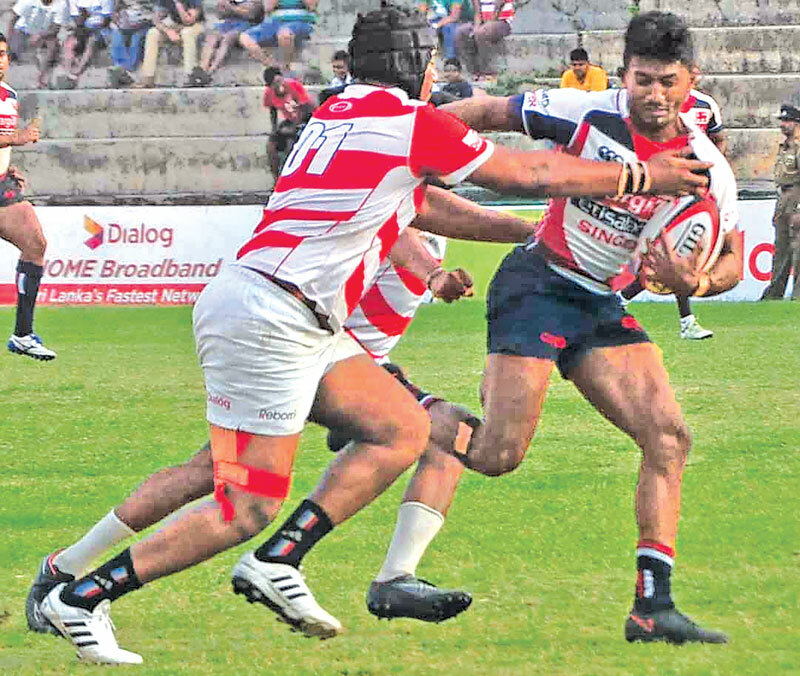 Kandy started the game strongly and dominated the proceedings in the scrums and line outs successfully by controlling most of the possession and obtaining territorial advantage. Kandy was better than CH & FC in many areas, and the strength of this side was in their fitness, co-ordination and ability to play under pressure. Kandy gave it their best shot from the kick off with some intelligent rugby. They completed their job by scoring good tries and were outstanding; looking every bit the best team in the competition. The scorers for Kandy SC were Richard Dharmapala and Vishvamithra Jayasinghe (4 tries each), Arshad Jamaldeen and Danushka Ranjan (2 each) and one each from Yakoob Ali, Tharindu Chathuranga, Roshan Weeraratne, Thilina Wijesinghe, Srinath Sooriyabandara, Lavanga Perera and Buwaneka Udangamuwa. Wijesinghe put over 10 conversions. Jamaldeen 2 and Yakoob Ali 1. CH & FC’s penalty was put over by Shamli Buhra. On Wednesday February 22 Kandy SC will meet CR & FC at Nittawela in the semi-final with Frenchman Julien Castaignede handling the whistle.